Yamcha has not had the best luck in Dragon Ball. He was once a lord and a threat, but by Super his lagging power level became a gag. You wouldn’t know it watching Ryota “Kazunoko” Inoue play him in Dragon Ball FighterZ, though. In the course of just about a minute, Kazunoko proved the doubters wrong. The desert bandit and baseball superstar whittled his way through Android 16, Goku Black, and finally Adult Gohan, completing what Vs. players sometimes call an OCV—one-character victory. Kazunoko made it look almost too easy, and showed that one of Dragon Ball’s legacy fighters is as worthy of respect as any Saiyan. 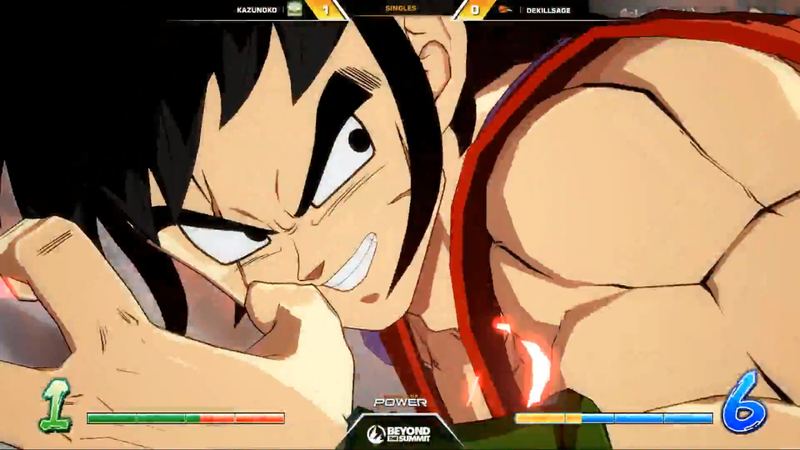 Kazunoko would go on to complete the 3-0 sweep of dekillsage and leave the commentators in awe of his Yamcha. If you want to see the whole set, you can find it on Beyond the Summit’s YouTube here.